More importantly, in a June 2017 opinion, Dr. PC considered illicit drug use and found that given the Veteran’s illness presentation, he likely contracted hepatitis at the time of service. Dr. PC explained that most patients with hepatitis C virus are asymptomatic and chronic infection progresses slowly. He noted IV drug use is a significant risk factor for hepatitis C but that in many parts of the world, shaving by barbers with communal razors is thought to be a common mode of transmission of the virus. Finally, Dr. PC concluded that because the Veteran was diagnosed with hepatitis C in 2000, he was more likely than not infected in the early 1970s. Exposure from drug use in the mid-1980s would be a highly unusual, rapid progression of the disease to lead to diagnosis in 2000. See June 2017 opinion. Research from the National Institute of Health shows a similar illness progression, noting that cirrhosis often occurs over a 20 year period in hepatitis C patients. Dr. PC’s opinion is highly probative with the most complete consideration of the evidence and clear rationale. He considered drug use and explained why contraction in service is more likely. As discussed above, the other medical opinions are less probative. Given the weight placed on Dr. PC’s opinion, the Board finds that the Veteran contracted hepatitis C in service, and service connection is warranted. See 38 C.F.R. § 3.303. One thing eagle-eyed readers will spot is Johnny Vet is being repped by Joseph R. Moore Esq. 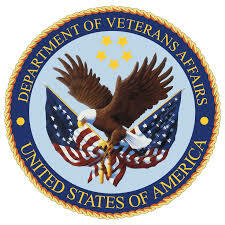 The outcome of the decision shows how this VA attorney program works. This entry was posted in BvA Decisions, BvA HCV decisions, HCV Epidemiology, HCV Risks (documented), Jetgun BvA Decisions, Jetgun Claims evidence, KP Veterans, Medical News, Tips and Tricks, VA Attorneys, VA Medical Mysteries Explained, Veterans Law and tagged ASKNOD BOOK, asknod.org, Disabled Veteran, DIY vA Claims, HCV, HCV Decisions, HCV Health Tips, HCV Veterans, HCVETS, Help with vA Claims, Help with vA HCV Claims., Helping Veterans, Jetguns, Service Connection, VA claims, VA HCV Claims Help, Veterans Benefits, Veterans claims help, Vietnam Veterans Claims Help.. Bookmark the permalink. My old marine had his hair cut and hand trimmers were used on his neck by open air village barbers. Blood from nicks client to client remaining in the metal. They still perform their trade in the streets today.